When Brisbane Roar travels to AAMI Park this Sunday to challenge Melbourne Heart FC, right back Jason Hoffman could come up against one of the Hyundai A-League’s most talented footballers. When Brisbane Roar travels to AAMI Park this Sunday to challenge Melbourne Heart, right back Jason Hoffman could come up against one of the Hyundai A-League-s most talented footballers. The chief weapon among Brisbane-s attacking ranks is German Thomas Broich who has taken the A-League by storm, and is now in his fourth season down under. The former Bundesliga player for FC Koln and Borussia Monchengladbach will most likely line up as an attacking midfielder, with most of his influence being played out on the left side of the pitch. 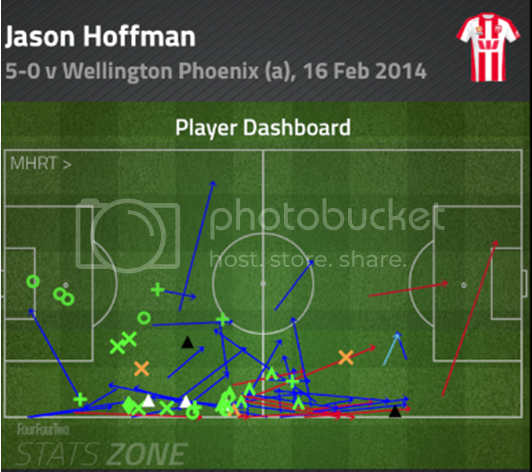 If this comes to fruition, it will be up to Melbourne Heart-s right back Hoffman to stop the dangerous Broich. 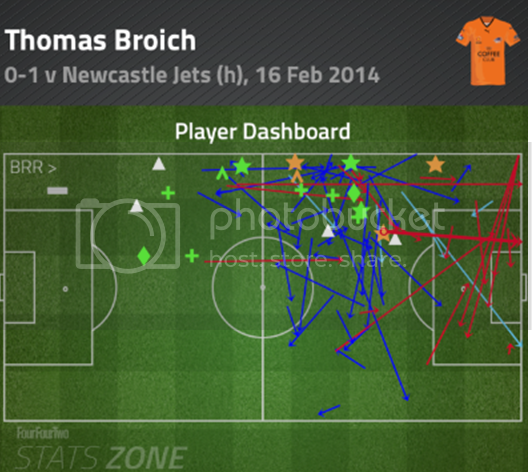 Broich could prove a handful for Hoffman due to the German-s ability to create and play passes that are difficult to read and predict, and he also possesses a highly combative style considering his main job is to attack. In the past three games in particular, which has seen Roar win twice and lose against the Newcastle Jets, the former German under-21 international has registered an impressive rate of ball recoveries, interceptions, take ons, blocks and fouls won. Below is his dashboard* for the Newcastle Jets loss, where the spread and frequency of symbols demonstrate how influential he is on the left side. Luckily, for John van-t Schip and Melbourne Heart-s fans, the Red and White have the ‘Hoff- who is in form and primed to take on Broich if their paths do cross on Sunday. Last week against Wellington Phoenix, Hoffman again put in the type of performance that has helped his side improve defensively. 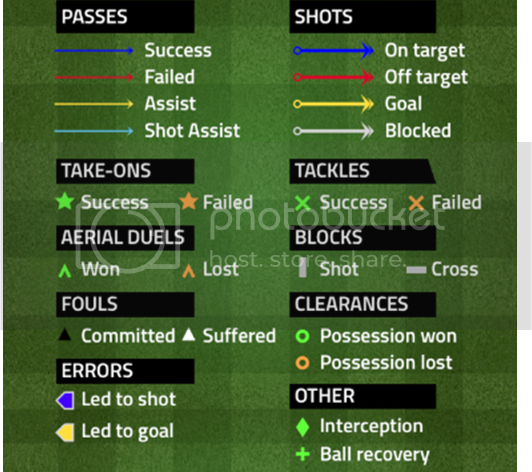 Hoffman impressed, as seen below*, by dominating his defensive area with clearances, aerial duels, tackles and interceptions. Hoffman will hope his team defends solidly as a uni; however, when it comes to one-on-one challenges, if pitted together, Broich vs. the ‘Hoff- will provide an intriguing battle within a highly important match for both sides.